A subscription to Empire magazine is perfect for all those movie buffs who want the latest on production news and reviews on new releases! 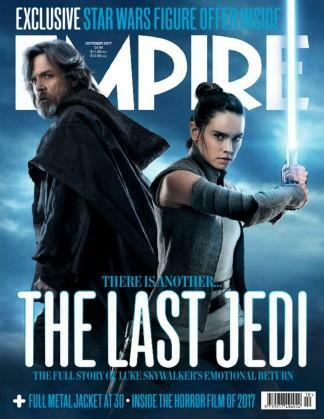 Counting celebrity fans like Steven Spielberg, George Lucas and Quentin Tarantino, EMPIRE is currently the biggest selling, most respected film magazine on the planet. Empire magazine covers everything you want to know about films from the biggest blockbusters, to the coolest indies, to the most revered arthouse flicks. It brings you the best in cinema and DVD every month, razzing your retinas with stunning photo shoots and exclusive pictures, bringing its readers interviews with the biggest star names from the hottest locations and helping them plan their viewings with the most comprehensive reviews section around, all with a unique, informed irreverent sense of humour.Subscribe to Empire and have the latest industry news delivered to your door each month!